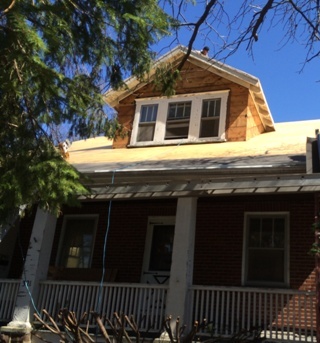 One of the projects for this week was a roof and dormer siding replacement. 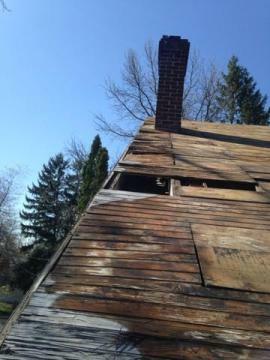 After removing the roof lots of rotted wood was found and replaced. 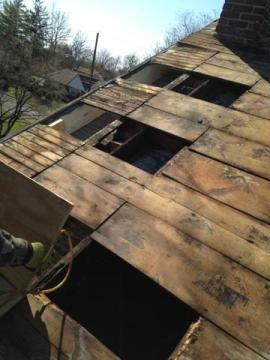 Also new plywood was installed over the original roof decking that was in bad shape. 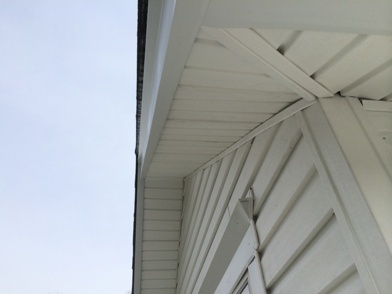 The Rake Rafter was sagging down and needed to be raised and secured. 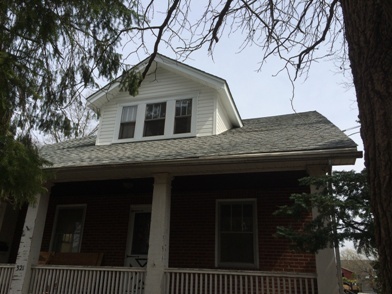 New 2″X4″ ‘s were sistered to the rafter and 3/4″ Plywood was installed over to the third rafter in, to create support for the rafter. 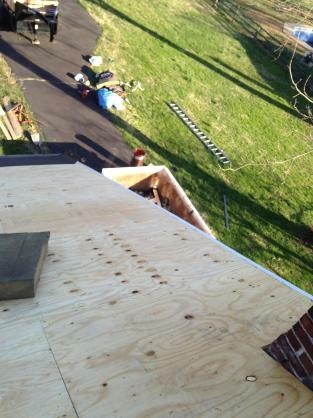 The entire roof had new 1/2 inch plywood installed over the original decking. 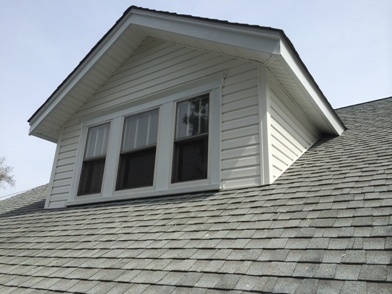 Also the original dormer siding was removed and a 1/2″ Foam board was installed over the walls. 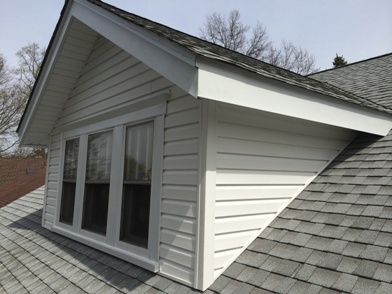 New Dutchlap Vinyl siding and triple three vinyl soffit panels were installed. 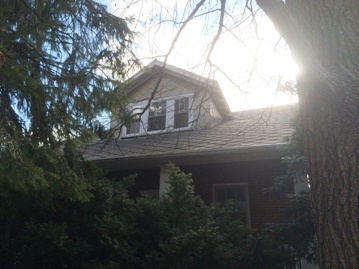 The Rake and Facia boards were capped with white aluminum coil stock along with the windows. 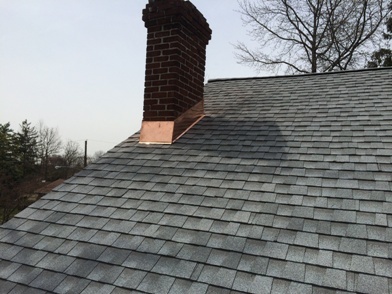 Copper chimney flashing Installed cut into the brick. 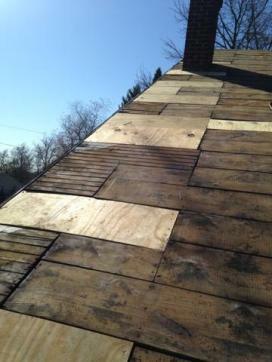 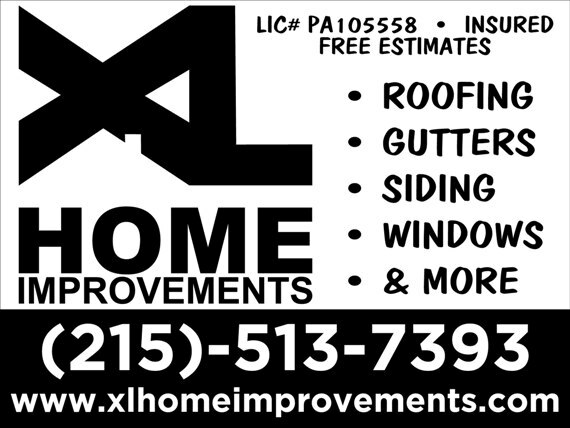 This entry was posted in ROOF REPLACEMENT, SIDING, STUFF TO CHECK OUT! 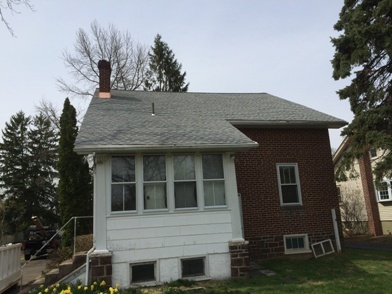 on April 18, 2014 by Rut327.